Owner Men's Basic Sweatshirt: Brave any outdoor activity in the comfort of this classic crewneck sweatshirt. It’s both plush and durable in its construction – a true staple for any wardrobe that will last. Select a design from our marketplace or customize it to make it your own! Check out other products with this design or view all . 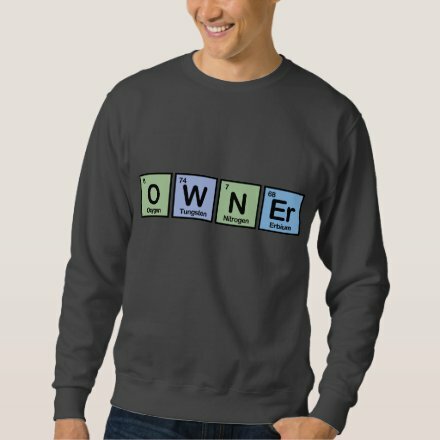 This t-shirt with our Owner design is made-to-order by Zazzle.com. Zazzle offers 100% money back guarantee on our high quality Cute Union products. In case you are not happy with your purchase, you can always return your t-shirt for an exchange or refund within 30 days of receipt. See customer service for more information.